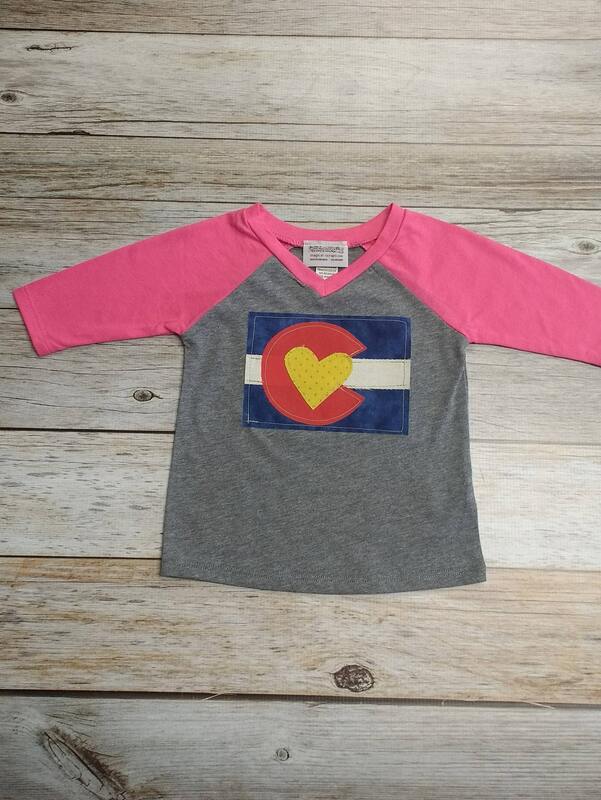 Baby Girl Colorado flag Applique baseball Tee! The perfect addition to any girl's wardrobe! The shirt is white with blue three quarter sleeves.